﻿ Top 7 eCommerce Marketing Tools » Red Mango Marketing! Quote: Visit our Apps & Integrations page for a full list of tools that integrate with Constant Contact. 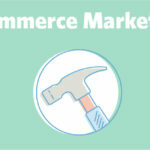 The post Top 7 eCommerce Marketing Tools appeared first on Constant Contact Blogs. This entry was posted on Thursday, February 7th, 2019 at 2:59 pm	and is filed under News & Updates, Online Marketing. You can follow any responses to this entry through the RSS 2.0 feed. Both comments and pings are currently closed.